According to the U.S. Department of Justice, millions of Americans become victims of financial fraud each year. Since only 15 percent of Americans report these crimes, you probably know someone who’s fallen prey to a scam but feels too embarrassed to share what happened. You might think an investment scam could never happen to you, but remember that Bernie Madoff’s victims thought the same thing. After all, he seemed like a nice, normal guy — until the money disappeared. You might think that you can rely on gut instinct to recognize a scammer, but scammers make money because they’re good at fooling people just like you. To protect yourself and your family, learn to recognize these seven dead giveaways that you’re about to be scammed. 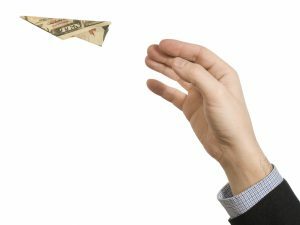 A guaranteed return on a certificate of deposit is one thing, but a broker claiming you’ll get a huge return no matter what is probably running a scam. As an example, people who go to school to become law enforcement officers study the case of Charles Ponzi, the father of the Ponzi scheme. He promised 50-percent returns on his investments in 45 days, but he ended up bankrupting five banks and countless investors. Remember, investments require you to take a risk to earn a reward. There are no guaranteed returns, even for the safest investments. Nothing feels better than getting invited to join a secret club. Investment scammers know this, which is why they often woo victims with a sense of exclusivity. “You’re getting in on the ground floor of a great investment opportunity,” they say, “and only a few select investors know about it.” In reality, they only let a few people know about it because they’re probably running a scam. Missing documentation is a surefire sign that a scammer is selling an unregistered security. One shiny new investment that scammers have pushed heavily on social media and YouTube is called a high-yield investment program, or HYIP. These unregistered investments claim to offer a big return in 60 days, but in reality, they’re Ponzi schemes. You should always ask for a prospectus or offering circular before making an investment. Bernie Madoff’s firm demonstrated an annual return of 11 percent each year. The firm returned about one percent a month, and it rarely recorded losses. That kind of consistency is hardly ever achievable in securities investing, and Madoff’s consistency caused suspicion among certain researchers. Still, people kept investing with Madoff, who eventually lost $50 billion of his clients’ money. The moral of the story: If the investment performance looks too good to be true, it probably is. If you’ll just give them some cash upfront, many scammers offer to buy commodities, like gold, and store it for you in their secret vaults. Sounds incredibly suspicious, right? It’s probably something that you would never do. However, when you give brokers authorization to trade anytime on your behalf, you’re giving them the same license to keep your money in a secret vault. If you notice missing funds from your brokerage accounts or unauthorized trades, follow up with your broker immediately. Some mistakes are unintentional, but others indicate fraud. Avoid brokers who can’t explain their investing plans or how their investments make money. This type of scam often occurs in forex trading, where people claim that they’ve developed complex mathematical algorithms to beat the foreign exchange market. Unfortunately, forex trading is exceptionally risky, and few individual investors ever make a profit. If the seller can’t explain the investment process to you, then you probably shouldn’t invest. This is usually what a salesperson will say when they feel like you are hesitating to make a decision. Bottom line: If a salesperson is pushing you to invest before you’re comfortable, never give that salesperson your money. 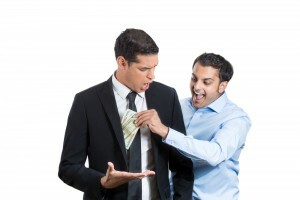 Investment scam victims are usually ashamed to admit that they’ve been duped. If you or someone you know has been victimized, don’t let the scammer get away with it. Report the crime to law enforcement.